I remember the first time I read Call of Cthulhu by H.P. Lovecraft. I had come to it thanks to the Metallica song of the same name off the Ride the Lightning album, which intrigued me because the song had no lyrics despite being based off of a work of writing. Some had touted it as a quintessential bit of horror fiction to rival even the strongest authors of today while others made the predictable claim that it was too disjointed from contemporary times to be relevant, let alone scary. I came away feeling a bit of both. Much of the concepts of the work are for your head to create, but that’s also what made it so horrifying, it was indescribable. Dark Corners of the Earth tries to bring an author and storyline that has dodged popular culture, widespread film, and of course video games for so long. It’s one of the first instances where an interactive medium has attempted to bring Lovecraft’s world to life, no easy feat. It’s not even based off of the main story Call of Cthulhu – although Lovecraft fans are used to the co-branding for various alternative works – but rather the novella The Shadow Over Innsmouth that details a town in New England that has isolated itself from the US. Ultimately the town is inhabited by sea creatures and ancient beings, which is now brought to life with a twist in an unreliable narrator that wavers in sanity. While Call of Cthulhu: Dark Corners of the Earth bites off a bit more than it can chew in overall design, not to mention the odd breaking point in the middle where it literally shifts genres, your ability to keep pace with it results in what could be one of the strongest horror video games of all time. 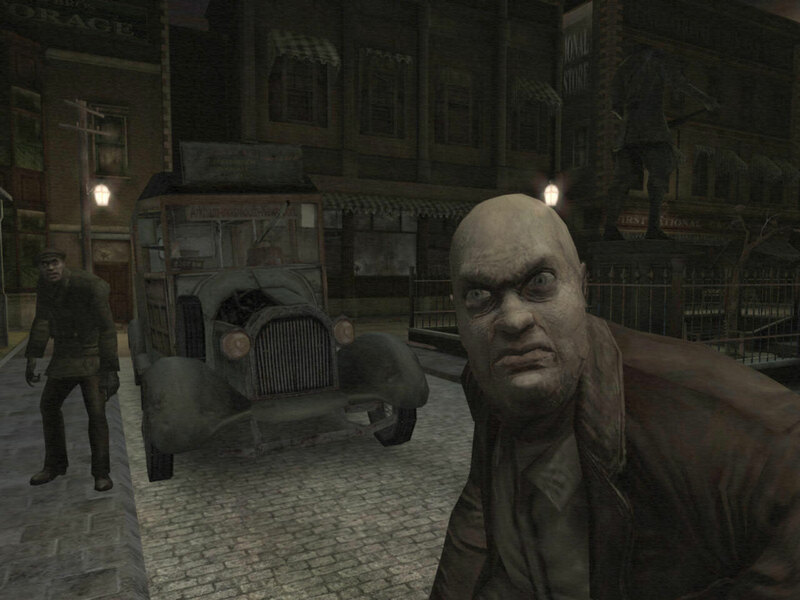 You play as detective Jack Walters, a private investigator with cop roots, who is sent to the town of Innsmouth to investigate a missing persons report. This comes shortly following Jack’s release from a six year stint in the Arkham Asylum (not the Batman one) for psychiatric treatment following a run-in with a strange cult. As a protagonist Jack comes off as fearless, not swayed in the least by even the earliest events that would rattle any person. It shouldn’t work for our main character save for the fact that the player, much like Jack, is most likely uncharacteristically fearless. 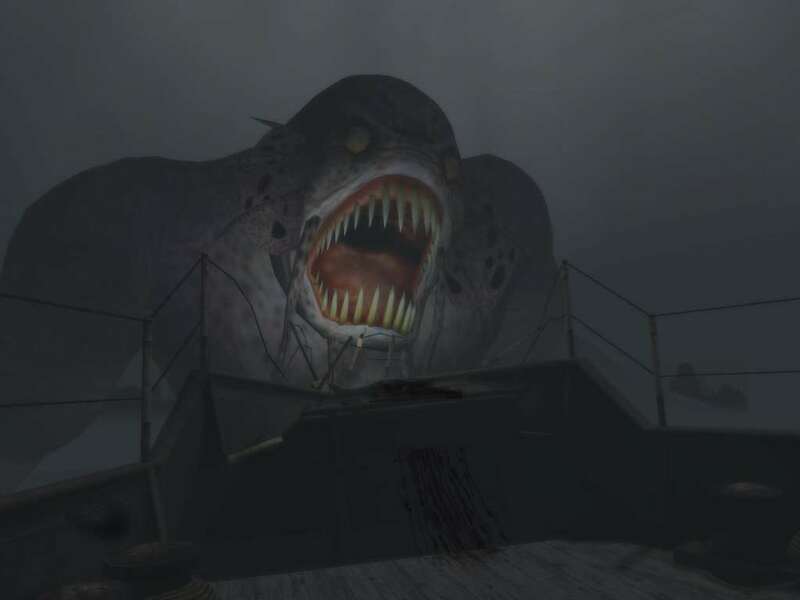 While I may never wander into the dark alleys of Innsmouth in real life, I confidently stroll into danger and potential death in video games with ease. As the story progresses Jack learns of the Order of Dagon, a local cult that has overtaken other organized religions in the town and basically controls everything from the police to the townspeople. In the first half you uncover the truth of the town of Innsmouth and then proceed to take on this ancient cult and all of the beings that are involved in it. By the time the game changes to what is basically a slow-paced shooter, you’ll be much more amazed at how some of the beings he finds still don’t seem to phase Jack’s ability to persevere. It almost makes his random jaunts with sanity at seeing traumatic things seem unbelievable because he’s freaking out over a tuft of flesh in a corner but didn’t even flinch when a massive sea creature attacked a battleship. Despite the schizophrenic nature of the tale and its protagonist, the story is what keeps you hooked and forces you to move on, eager to find what lies at the end of your journey. Mechanically Dark Corners of the Earth has quite a few caveats. Your character is slow, combat is clumsy in a time where first-person titles (especially shooters) were nearing peak execution, and this early form of stealth doesn’t quite follow its own rules. This is significant because the first five chapters of the game – half of the title’s overall chapters but only accounting for probably a third of your play time – sees you with no weapons at all. You have to rely on stealth to move about but the enemy AI is inconsistent. Sometimes you can sneak past a person you basically bump into given there’s a hint of shadow nearby while other times characters can see you from under a dark box at a distance of nearly 100 yards. If you get annoyed by the goldfish-like memories of a Metal Gear Solid soldier, enemies in Dark Corners of the Earth can forget they are chasing while you’re still running away. This can be frustrating and the pacing of the game slows to a crawl. The jailbreak mission is literally you crawling around a police station that’s only a handful of rooms over two stories and a nearby garage, but completing it could take over an hour and you have to reload a save point upon failure. On the other hand, these early missions teach you how to get around and to save often in fear of the dreaded reload. Couple that with unskippable cutscenes, some of which exceed 5 minutes, and you learn to be careful before donning weapons. 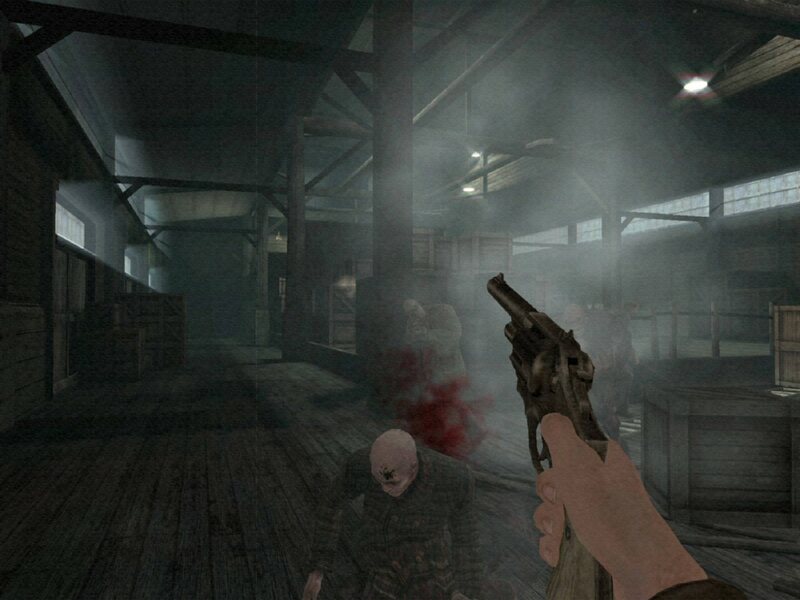 After you get your hands on a shotgun and pistol at the police station, the game shifts quickly and drastically into a clumsy slow-paced shooter. Imagine Doom but slowed to half the average game speed and you start to get the idea. On the Xbox console the enemies infinitely respawn so finding yourself in a situation where you’re out of ammo can be common and frustrating. The PC patch that you basically have to install to get the game to run these days tweaks the difficulty and removes these infinite enemy patches, making it less of a slog. In either event, it becomes a time consuming chore to make your way through the back half, especially given the fact that you traverse massive areas that seem endless trying to make your way through a non-linear level. Your carrot on the stick is the story progressing, which developer Headfirst Productions did an excellent job of giving you just enough to push onward while also unraveling the story at what truly feels like a novel’s pace. If it sounds like I’m trying to balance my frustrations with how impressed I am with the title, it’s because I am absolutely doing that. I can hate on Dark Corners of the Earth by the end of the campaign just as much as I can praise it, but while the journey may not be worth it for every player, the experience of getting through it should be. I bet there are a ton of people out there who tried this title and at some point across the dozen or so hours it takes to complete hit a wall and quit. That’s really too bad because by the time you face the Shaggoth in the refinery, Dagon at sea, or some of the other dark horrors that inhabit your journey, you can’t help but have to see what’s in store for you next. Today’s titles are about taking you on a journey, conveying a story, and eventually finding a closure point. That’s not the world Dark Corners of the Earth was conceived in. It’s long, it’s painstaking, it wants you to fail (but being mostly fair about it), and it makes you work for your reward. Welcome to the foundation by which all video games from the 80s and 90s were predicated on. Call of Cthulhu: Dark Corners of the Earth is a dated style of game with a dated topic and just enough mix of modern details to keep it interesting. Graphically the title impresses, especially for its original 2005 release date, and the surround sound option found on Xbox will give that extra sweetness for horror buffs who like playing in dark rooms with home theaters. The journey will have attempts at jump scares, battles on a scale you never expected, and plenty of cursory failure points that may make you hang up your controller for the night. That’s all part of the experience though, and if you can it is recommended to tackle it in shorter intervals to keep you fresh. By the time you get to the “bottom” of the Order of Dagon, Innsmouth, and what’s really going on this game the entire concept is fantastic. It even bakes in a setup for a larger series and multiple sequels, but alas this title didn’t hit it big and the developer went under shortly after completing the game. In the end Call of Cthulhu: Dark Corners of the Earth, much like Lovecraft’s original story, is a dated but intriguing dance with horror in a way that above all other things is unique. 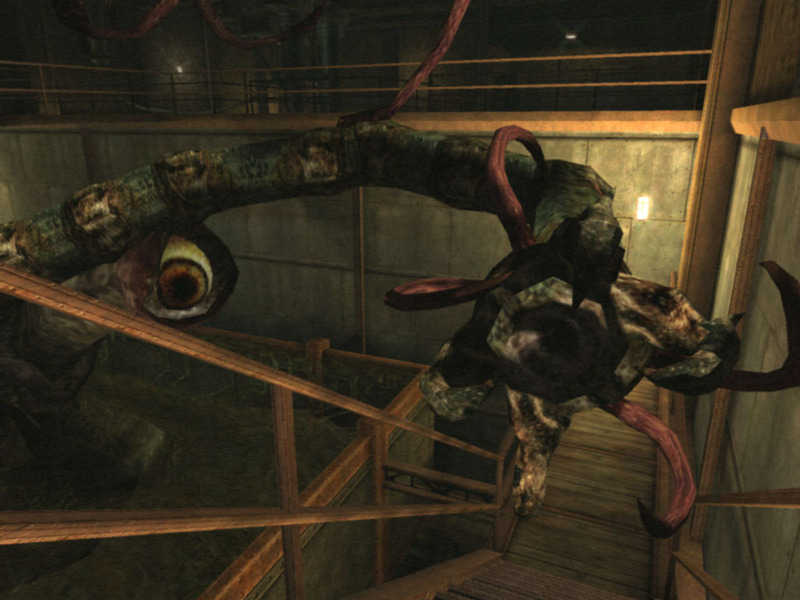 Maybe it’s not the type of horror for you, but you’ve never played anything quite like it. Call of Cthulhu: Dark Corners of the Earth can be found on the original Xbox and digitally on Steam. It is backward compatible with the Xbox 360, although it will suffer slowdown and framerate drops on occasion. The Steam version should be patched with the unofficial update to fix bugs that prevent the game to run, prevent progress, and tweak the difficulty. We also did a game club for this title that can be found here. I feel like the endlessly respawning enemies thing 9 times out of 10 was done because developers could not write code to stop them from respawning.